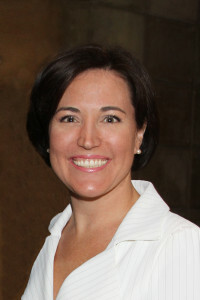 Lisa Budinger served as President and CEO of Arizona College Scholarship Foundation (ACSF). ACSF is increasing the number of bachelor’s degree holders in the State by providing scholarships and one-on-one mentoring to high potential, low income students. Since inception in 2005, ACSF has helped more than 75 low income students achieve their dream of a bachelor’s degree and is currently supporting 250 actively enrolled students. Under Lisa’s leadership, ACSF has celebrated its first program graduates, doubled the number of students served by the program and has grown to support students from 14 out of 15 Arizona counties while maintaining a retention rate of more than 90%. Lisa is passionate about education and ensuring that all of Arizona’s students have the opportunity to attend college, regardless of their financial status. She has been a supporter of ACE (Achieving a College Education) since her return to her native Arizona in 2007. Lisa is active in the community and currently serves on the steering committee for College Depot and the Thunderbird Global Council. She is a member of All A’s for Arizona. Over 450 people attended this tribute dinner on April 19, 2012. The event raised over to $100,000 in scholarship funds to support the Maricopa ACE – Achieving a College Education – Programs, Chicanos Por La Causa (CPLC) matching scholarship fund and the general scholarship fund.